In November, we will be asked to reject or approve “The California Children’s Education and Health Care Protection Act of 2016.” If approved by a majority of the voters, this ballot measure, Proposition 55, will extend to December 31, 2030 the “temporary” income tax surcharges on upper income Californians that were authorized in November of 2012 when 55% of the voters approved Proposition 30. Prop 30 was designed to prevent “devastating” cuts to the State’s educational budget by establishing a seven year “soak the rich” income tax surcharge (2012 to 2018) and a four year quarter of a cent increase in our sales tax (2013 to 2016). According to Legislative Analyst, this 12 year extension of the ‘temporary” income surcharges will increase state revenues by $4 billion to $9 billion a year from 2019 through 2030, depending on the economy and, importantly, the stock market. This year’s budget assumed $7 billion from these income tax surcharges. But this is not the only “revenue enhancement” scheme that is being cooked up by our friends in Sacramento and the campaign funding leadership of the public sector unions. State Senator Bob Hertzberg (D-Van Nuys) is pushing to extend the sales tax to include services. This so called “reform” would generate “roughly $10 billion in its first year and increasing amounts thereafter.” According to a chart prepared by the California Board of Equalization, the State has identified 15 industries and 487,000 firms that have the potential to generate $111 billion in sales tax revenue. This includes lawyers, accountants, and other value added service providers. State Senator Bob Hertzberg (D-Van Nuys) is pushing to extend sales tax to include those services provided by service providers like lawyers and accountants. According to a report by State Controller Betty Yee and her Council of Economic Advisors on Tax Reform, another revenue enhancement is the “split roll” where commercial and industrial properties would be assessed at their fair market value. At a 1% property tax rate, annual “revenue gains would likely surpass $5 billion and may add up to more than $10.2 billion.” However, the split roll will require the approval of the voters since it involves amending Proposition 13, the third rail of California politics. The folks in Sacramento and their cronies in the transportation lobby are also beating the drums for an increase our gas tax, already the highest in the nation when you factor in the impact of the “cap & trade” fees. This proposed increase is estimated to be in the range of $2 billion to $4 billion a year. This money would help fund efforts of the California Department of Transportation to repair the State’s highways, roads, bridges, and other related infrastructure. At the same time, the State is swiping $1 billion a year from CalTrans, a bloated agency where 3,500 surplus employees are costing the State, its taxpayers, and our roads over $500 million a year. Our good friend Hertzberg is also pushing a bill (SB 1298) that would allow stormwater / urban runoff to be considered as wastewater, thereby allowing the County of Los Angeles to levy $20 billion in fees without the approval of the voters. This would result in an increase in our real estate taxes of 8%. Proposition 30 has done an admirable job of making up revenue shortfall over the last five years. Since 2012, the State’s General Fund revenues have increased by almost $34 billion (39%) while overall revenues, including special funds, has increased to almost $171 billion, a bump of more than 40%. Now that income and sales tax revenues have rebounded to record levels, Proposition 55 and the 12 year extension of the “temporary” income tax surcharges represents just another revenue grab by the State, the California Teachers Association, the hospital lobby, and the SEIU (Service International Employees Union) that deserves to be rejected by the voters in November. And while a “soak the rich” tax has a certain appeal, we need to be careful not to kill the golden goose. If only a small percentage of the upper income taxpayers and their profitable corporations and the small businesses they control decide to relocate or not invest in our economy, many of our fellow citizens will be without good manufacturing or value added service oriented jobs. We need to send a message to the fiscally irresponsible scoundrels in Sacramento, their cronies, and the campaign funding leaders of the public sector unions that we are not their ATM. After all, we are doing more than our fair share as we have the highest income tax rate, the highest sales tax, and the highest gas prices in the country. 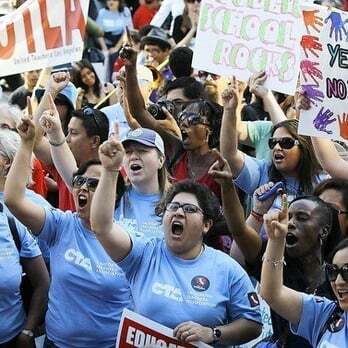 However, in their journey to extend the Prop 30 tax hikes, the tax raisers started tripping over their own greed. Even the public sector union bosses weren’t reading off the same page and different proposals began to emerge, each targeting billions of dollars of tax revenue to their respective constituencies. And compounding the problem was the fact that the “emergency,” which was the entire justification for Prop 30 in the first place, disappeared. California now has a budget surplus. But greed being a powerful motivator, the special interests worked out a compromise that focused on extending only the income tax portion of Prop 30 and jettisoning the sales tax. This move was politically expedient given that only the income tax portion targeted “evil” rich people while the sales tax extension would have been an almost impossible sell. (If the version of the Prop 30 extension currently gathering signature passes, California’s highest in the nation tax rate of 13.3% would be extended until 2030). But the hospitals’ doubling down on the Prop 30 extension may not have been well thought out. That is because they want desperately to have voters approve another measure that has already qualified for the ballot in November. Originally intended for the 2014 ballot (but they missed the deadline) this proposal requires high procedural requirements (two-thirds vote of the Legislature and voter approval) before some of the existing Medi-Cal reimbursements to hospitals can be reduced. Californians have abysmally low levels of civic engagement as evidenced by the recent election where voter turnout set an historic low. And the widespread disengagement of California’s younger voters is even worse. True, in 2008 California’s youth turned out in large numbers to elect Barack Obama as President. And in 2012 they turned out again because, in addition to Obama being up for reelection, Proposition 30 was on the ballot. Proposition 30, which gave California the highest income tax rate and highest state sales tax rate in America was, ironically, entitled Temporary Taxes to Fund Education. During the Proposition 30 campaign, Governor Brown traveled to several university campuses to push the massive tax hike promising that passage would prevent tuition hikes. California’s college students, being as gullible as they are idealistic, believed the promise hook, line and sinker. So much for critical thinking. But perhaps California’s younger voters are finally getting wise to all the broken promises of tax-and-spend politicians and that might explain, in part, why they stayed home in this last election. And sure enough, their increasing cynicism is proving to be well founded. Despite the massive tax hikes ostensibly to keep higher education affordable, the University of California Board of Regents just announced a sizable increase in tuition. And UC students are none too happy. At the moment, the outrage expressed by students in their protests – one of which resulted in a shattered glass door outside a meeting of the UC Regents – seems a bit unfocused. They’re angry but, aside from the mere fact that their education costs are rising, many are not clear about the causes. In a weird way, UC’s pension crisis might be the ultimate teachable moment for college students who typically have little grasp of anything related to public finance. So, students, here’s the scoop: There’s no such thing as a free lunch. Public employee compensation is expensive; especially pension costs that you will be paying long after those of us who are older are long gone. Government waste, fraud and abuse in California is a real problem. Those who pay taxes – a lot of taxes – have choices where to live and move their businesses – and that may not be in California. Debt means future costs. You might like the idea of High Speed Rail but you might want to study both the costs and viability of any megaproject before you hop on board. And finally, don’t buy into any promise by any politician about what they are going to do for you without first figuring out what they are going to do to you.